Home → Inspiration → 🎉 Midnite UI Kit is live! 🎉 Hooray! 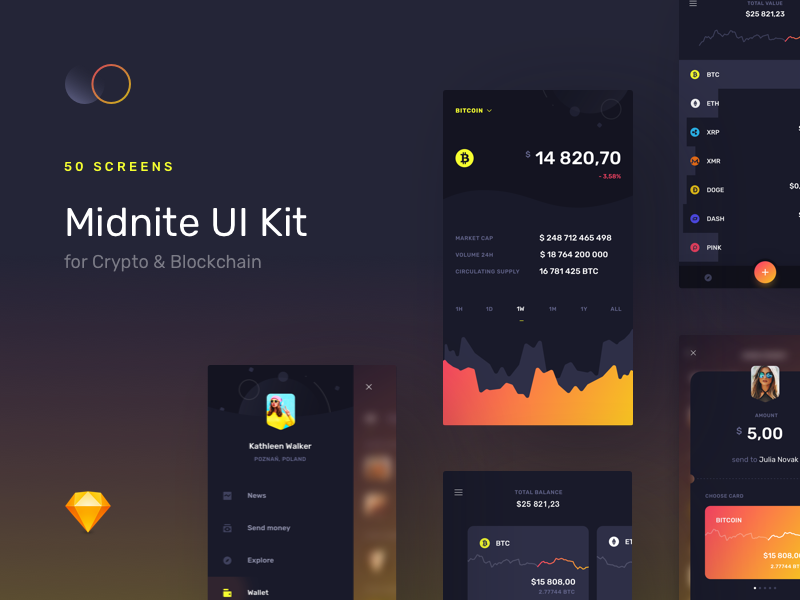 Midnite UI Kit for 💎 Sketch is finally released! 50 premium screens to kickstart your next blockchain & crypto project. It will bring your ideas to the whole new level of quality. Each screen was designed with attention to detail so that the whole set is both beautiful and functional. 🤜 Hit “L” if you like it & follow my work for more updates! Follow my Instagram for more updates!